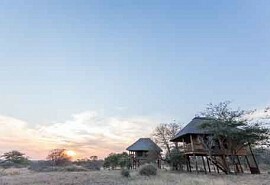 nThambo Tree Camp offers guests a unique safari experience in the Klaserie Private Nature Reserve, home to lion, leopard, rhino, buffalo, elephant, giraffe, hyena and many antelope and bird species. 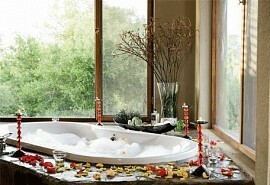 The reserve forms part of the Greater Kruger area which consists over 2 million hectares of unspoilt African bush. The Klaserie is not as famous as the rest of the reserves in the area; however this means a lot less vehicles and less people in the area. 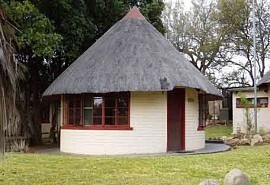 Sleeping in the tented chalets really gives guests the feeling of "being in the bush"
Easily accessible via either of Hoedspruit Airport or the daily shuttles from Johannesburg. 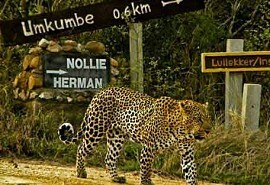 The camp picks guests up free of charge off the shuttle or from Hoedspruit Airport. 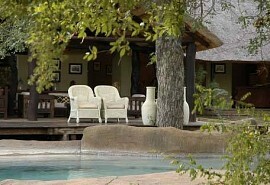 nThambo Tree Camp is located in the Klaserie Private Nature Reserve, which shares an unfenced border with the Kruger National Park which in turn enhances the overall wildlife experience. 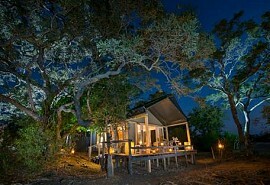 The camp caters for only 10 guests at a time ensuring a private safari experience. Accommodation consists of five comfortable Tree-house type chalets built on stilts offering en-suite facilities overlooking the bush. 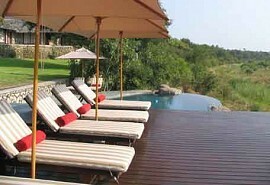 The main camp area at nThambo consists of an open plan bar, dining and sitting area. The dining area leads onto a cosy boma area where traditional South African dishes are served and the sitting area overlooks the pool.